As one of the earliest domesticated animals in human history, cats have a long history of cultural symbolism. In ancient Egypt, people believed that cats were an incarnation of the moon goddess, Bastet. In many cultures, they were revered for their dual nature, both docile and fierce. Below, we’ve assembled a cat tattoo dictionary, explaining the meaning behind different cat tattoo designs. Black Cat: in Celtic tradition, black cats were sacrificed to ward off evil spirits. Hence, black cats have become an omen of destruction as well as symbols of femininity, power, and mystery. 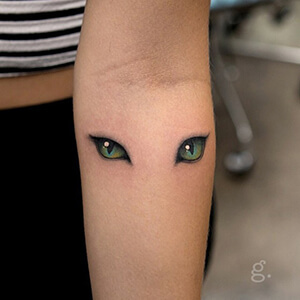 Cat Eye: known for their piercing eyes, the cat is a symbol of wisdom, intellect, and a connection to the divine. 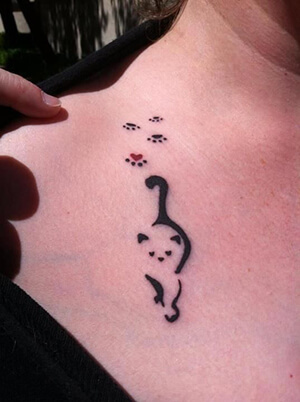 Cat Paw: representing an emotional journey through a difficult time, the cat paw tattoo design represents prosperity, luck, and personal progress. 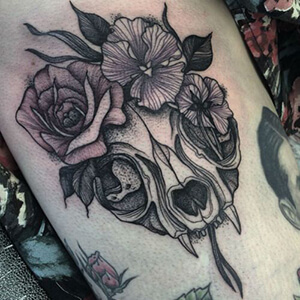 Cat Skull: the cat skull symbolizes death, destruction, and disease as a tattoo design. 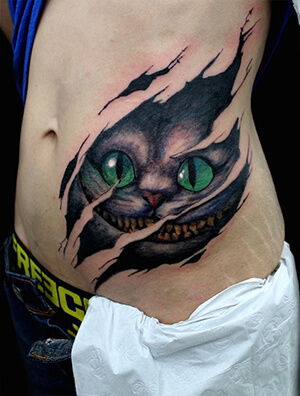 Cheshire Cat: based on a character in Lewis Carroll’s, ‘Alice in Wonderland,’ the cheshire cat tattoo design represents an intelligent and mischievous nature. Felix Cat: created in the golden age of 2D animation, the Felix Cat was a widely recognized cartoon in silent animated films. 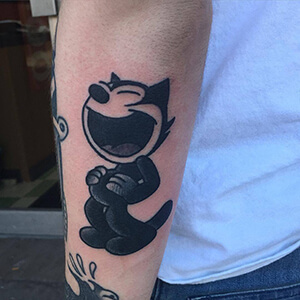 A tattoo design of the felix cat represents a nostalgia for classical animation and the Felix Cat films. For hundreds of years, cats have represented two major principles in human nature. 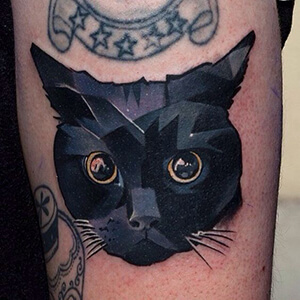 Whether the cat’s cunning and mysterious side speaks to you, or its presence popular literature and film has charmed you, the cat makes an outstanding tattoo design that resonates with everyone. 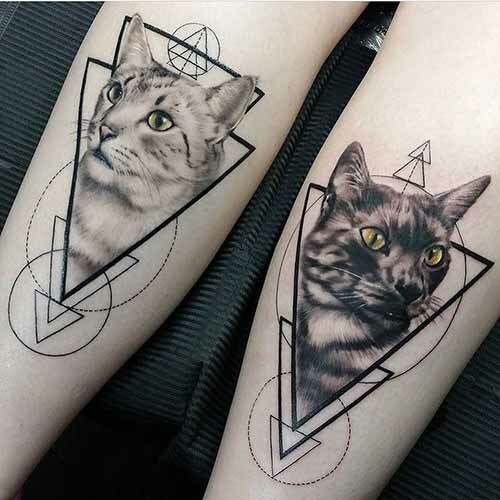 If you know of any other unique cat tattoo designs, tell us about them in the comment section below! Which Type of Sleeve is Right for You?